Lil Kim and Nicki Minaj probably won't be doing lunch anytime in the near future. The 40-year-old mom released "Identity Theft" Wednesday (Aug. 6), her latest lyrical attack on Minaj. Kim doesn't have to name her outright, it's pretty clear that she's talking about the "Anaconda" rapper. 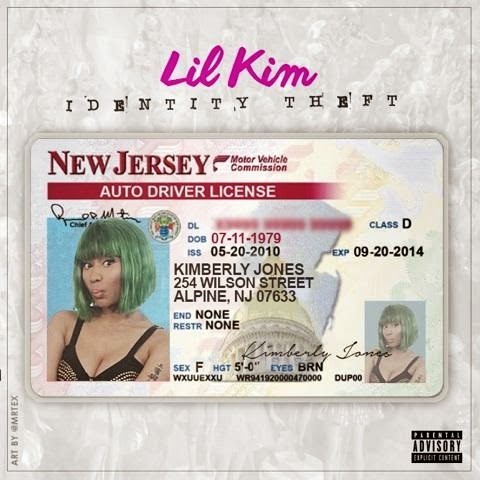 The Cover art has a photo of Minaj over a (hopefully fake) copy of Kim's driver's license. On the record, she spits, "You swaggerjackers give the game a bad look, pop s--- on Twitter, and apologize on Facebook/ And now they wanna send me request telling me that I'm simply the best/ I won't stop 'til I see my enemies rest/ they'll probably get locked up for identity theft." 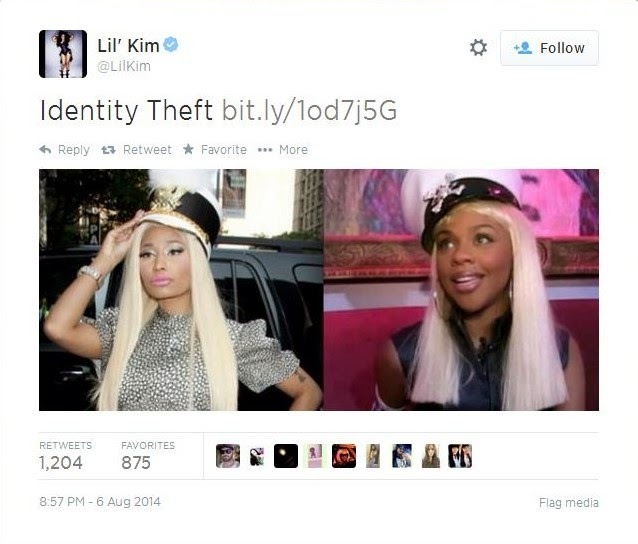 She also tweeted a photo of mashup of her and Minaj wearing nearly identical looks. "Identity Theft" is certainly her most direct shot at Minaj to date, but if she wants a response, perhaps a third diss will be the charm for the Queen Bee. Billboard put up a poll asking if she should hit back at Kim, and so far there's been no reaction from Minaj.